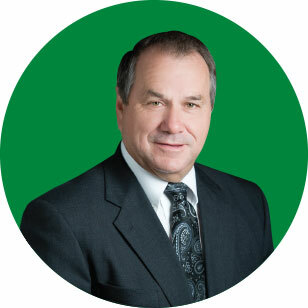 Dennis Lott was appointed to the DEMCO Board of Directors in March of 2009 and received his Director Certificate from the National Rural Electric Cooperative Association (NRECA). He is currently the Board's Secretary-Treasurer and a member of the Board's Finance Committee and the Manager’s Evaluation Committee. He is also a member of the DESi Board of Managers. Lott is DEMCO's voting delegate for meetings of the NRECA (Annual and Regional), National Cooperative Services Corporation (NISC), National Rural Telecommunications Cooperative (NRTC), and National Rural Utility Cooperative Finance Corporation (CFC). Lott is a lifelong resident of Livingston Parish, and retired from DEMCO in March of 2007 after 35 years of service. He and his wife, Darlene, have two children and six grandchildren. District 8 is located south of St. Helena Parish, east of Louisiana Highway's 16 and 447, west of Tangipahoa Parish and north of Louisiana Highway 447 and Interstate 12.